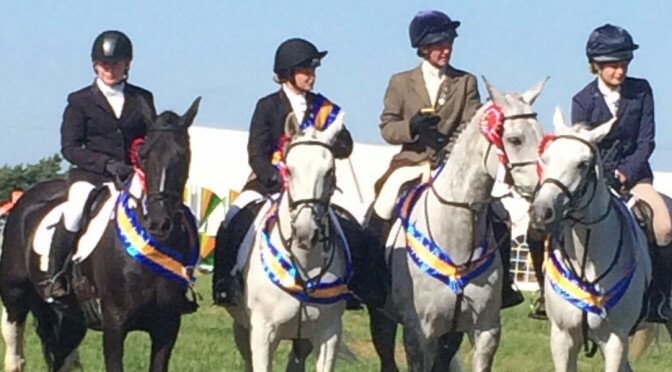 GREAT WIN FOR YORKSHIRE RIDING CLUBS ENDURANCE TEAM. 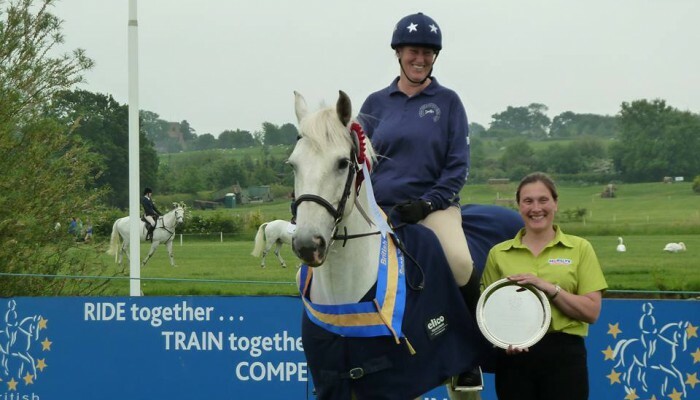 When Linda Birkitt rang me a couple of months ago to confirm I had qualified for the Riding Club Endurance Championships, I didn’t know what to think. Firstly it was a really long way to travel and secondly ‘Red Dragon’ has the reputation, even amongst us hardy Yorkshire folk, of being one of the toughest experiences you can attempt on horseback. 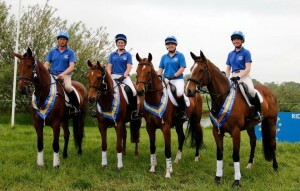 As it was, the six of us from Yorkshire who had qualified formed the Yorkshire Riding Clubs team and made the long journey down to Builth Wells in the middle of Wales. Many thanks must go to Linda who has been the driving force over the last two years in organising the qualifiers and our trip to the championships. A lot of our success must be due to her organisation. The six hour journey was made easier with a half hour break near Chester, where the horses were grazed and watered, and then onward we went, arriving at our venue in mid afternoon. 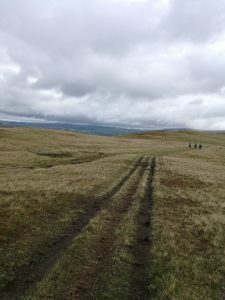 A long journey by all accounts, but well worth every inch, as we were about to participate in The Red Dragon, the most gruelling, but at the same time the most breath taking of Endurance rides. Dressed to attack the mountains. The bobble hats were apparently an essential part of our equipment !! On the Sunday morning Linda Birkitt (Selby and District), Tricia Heaps ( Harewood ), Sarah Mumby (Scarborough), Tahnee Burgess ( Scarborough and White Rose ), and myself (Northallerton) participated successfully in the pre ride vetting. 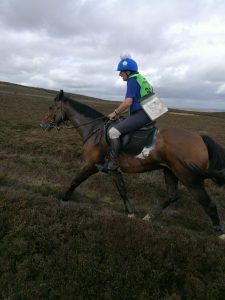 Val Swann (Ackworth) , who did the 40km ride on the Saturday was going to join us, but could not get her horses heart rate low enough to pass the vetting and Jaquie Harrison (White Rose) had also qualified during the season but was unable to attend the championships With the help of our ultra efficient crew, Elise McCall and Andy Birkitt, we soon tacked up and were on our way. It was about 4 kilometres before we met the first hill, and when I say it was long and steep this is a complete understatement. It just went on, and on, and on and when you thought you had got to the top it just carried on again. Buzz was a real star, completing most of it in canter or trot with only the odd break to walk to get his breath back. Linda was with me on her fantastic pony, Sophie, and the other three members of the team were close behind. On the way up. 25 minutes of trotting up a hill like this proves how fit your horse is. Buzz looks confused. I dread to think what is on his mind !! The tops of the hills were fantastic. Miles on miles of wide open spaces and views to die for. Heaven on top of the moor. We kept a relentless pace up on the tops either in canter or trot. The only break being a short stop for the horses to drink at the crystal clear limestone dew ponds we found on route. The going was brilliant, the track was really well marked, we were spoilt with almost perfect weather and for once Buzz seemed to be behaving himself. For those of you who haven’t ventured down to the Red Dragon before I would highly recommend it. 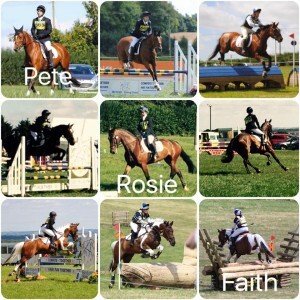 The complete satisfaction of Endurance riding, is best summed up in these few photos. 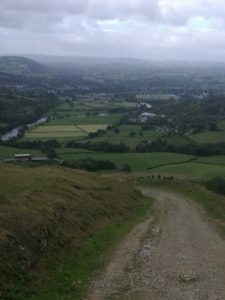 Surprisingly, the journey down off the hills was just as difficult as the journey up. No risks could be taken on the stony track way to spoil the excellent speed we had made but walk was essential . We were aiming to complete the 36km course in excactly 12 kilometres per hour. Any faster would be no advantage and would affect the final heart rate. Any slower would lead to a poorer score by the Performance Chart. On the way down. Care was essential. As it happened, after a quiet jog, Linda and I arrived back at the venue with a speed of exactly 12 kph. I was extremely proud of our timing but I would be the first to admit that it was more by good luck than sound judgement. Tricia, closely followed by Tahnee, arrived 5 minutes behind us but unfortunately Sarah’s cob was suffering a little after the extremes of the ride and didn’t finish for another 15 minutes. Perhaps the most nerve wracking moment of any Endurance ride is the final vetting. We all took the allotted half hour to cool our horses but at the same time keep them loose enough to pass the final trot up. Mine, Linda’s, Tricia’s and Tahnee’s horses all finished with heart rates between 41 and 45 bpm and all trotted up perfectly sound. A great result on such a demanding course. Unfortunately, despite heroic efforts, Sarah’s cob failed the final vetting as we couldn’t get the heart rate below 64 within the allotted time. And then the wait for the results which were given in reverse order. With 4 teams yet to have their scores announced we knew we stood a chance. And then it was down to just 2 teams. ‘And in second place’ said John Hudson ‘is the team from (a moment of quiet as he drew out the suspense) the team from The New Forest’. We all leaped in the air. 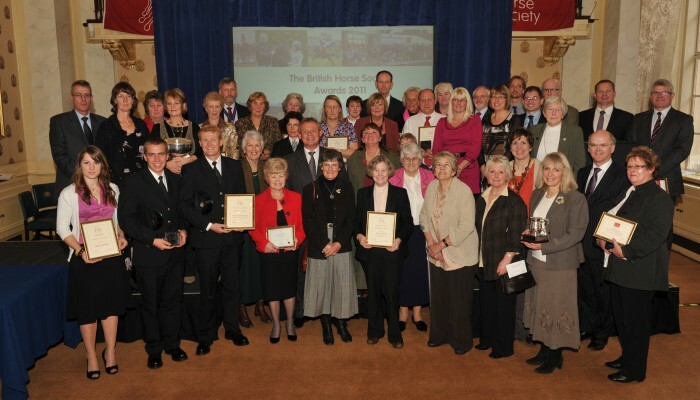 The Yorkshire team had won. Summary. 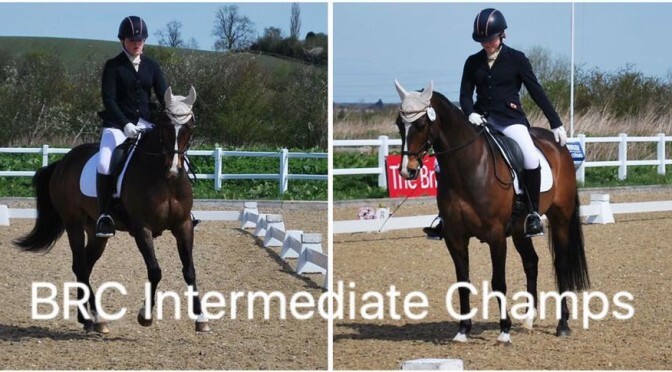 People think us Endurance Riders are slightly round the bend but I can tell you now, that there is no greater satisfaction than forming a lasting partnership with your horse, over hours of training sessions, getting him truly fit and then competing in some of the most beautiful areas of the country. 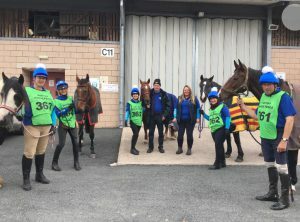 Well done John Hudson and his team for running the Red Dragon for us (no mean effort) and especial thanks to British Horse Feeds for sponsoring the festival. Hattie I’Anson drove the whole way down from Yorkshire to present the prizes, an Endurance feat in itself. Thank you. Judith Bennett from Harewood, came 2nd on Legato II (above) in the elementary dressage and 8th on Last Link in the advanced medium. Mary and I travelled down on Thursday lunchtime, hoping to beat the traffic and as long as Mary kept telling me where to go (the wonders of google maps on your phone!) we were all good. We got parked up at Swalcliffe a little after 4pm and made our way to the horse check in, then Mary took Maytime for a little hack, while number 2 groom got stable ready and wagon set up for the night. We went to the competitors briefing, and discovered that the vet inspection on Thursday am was going to incorporate a ‘tack and turnout’. In the morning we brought May to the wagon to get ready, and Mary decided to go ‘all out’ pony club turn out. I asked Mary if they had practised the ‘trot up’ and was told no, we will do it on the way down. So off we went, presented May to vets, trotted up a little tract (50 yards) and back again. All done. Dressage was not until 2.30 pm, so May had another little hack. The dressage went reasonably well, nothing startling, but nothing to complain about either. I have to say at about this time, we were beginning to realise how hot it was, and after going down to the xcountry course with the meter wheel, we realised that it was nearly 1km to the stable and back! We set off to walk the course, and supposedly to measure it, however, not very successfully – jockey and number 2 groom slight difference of opinion – again. We met up with the Tarlings – not easy as there were a lot of horse boxes there, and arranged to ‘do t’. 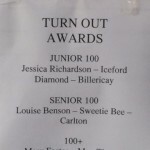 Mary went to look at the scores, and saw a notice to say that she had won tack and turn out!! So we had to go to the cocktail party to collect her prize. 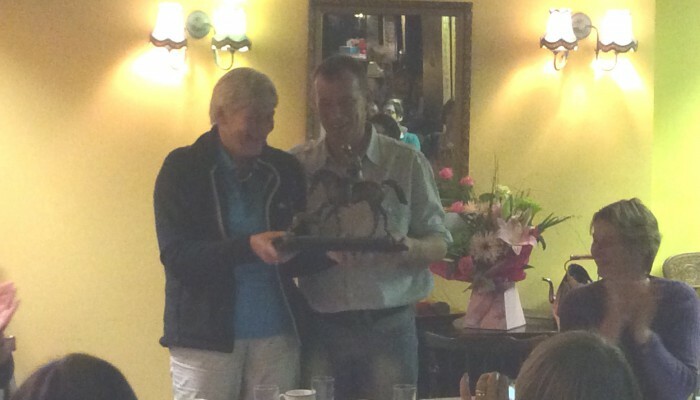 I have to say the organisers made an effort to put on a lovely drinks party with food too, and Mary was quite excited to be presented with a lovely rug and cheque for winning tack and turnout. Then off to the Tarlings caravan for BBQ T and tactical planning for xc day! Saturday arrived – even hotter – Amy was on the course before 11 am to do the 100 class, so we were all there ready to see her off on roads and tracks. 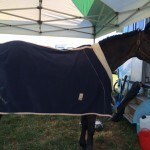 After short road and track phase, steeplechase phase, long road and tracks phase, She came back, pony and rider were fine, passed the vet, and then we washed pony down ready for the final xc phase. A really good effort, but one stop coming out of the water would put Amy out of contention. Mary and May went about 2.30pm. Dad and big brother turned up to see her go, and dad stayed for the rest of the competition. The breeze had got up a little bit by then. Off they went same distance as Amy but Mary was dong the 100+ and so her times were faster, we all waited in the 10 minute box for her return, and home they came, plenty of time to spare, passed the vet, and headed for a cooling wash down. Off on the xc and I don’t mind admitting a nervous mum due to our disagreements on distances when walking the course! 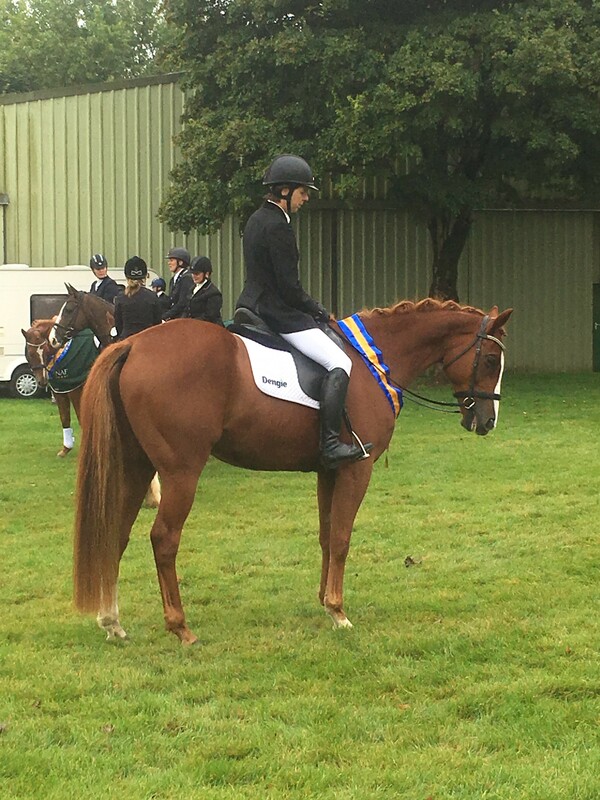 No worries, both home clear within the time, finishing on her dressage score. So as soon as horses all settled, what do you do? Off to pub for T.
Sunday, it was hard work getting up, another km down to see Maytime, and get her ready for vet inspection. 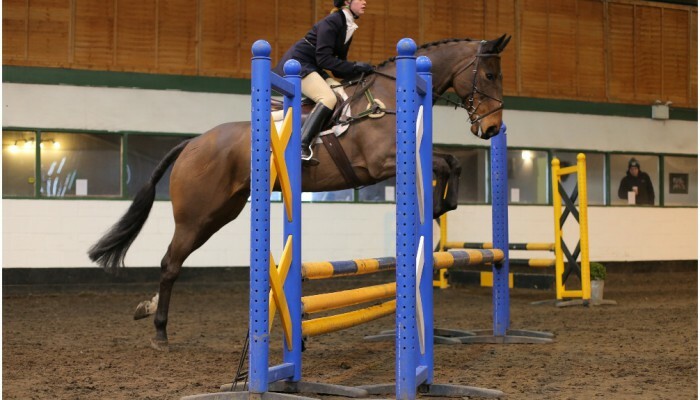 Passed fine, so prepare for show jumping. Ours was after 3pm, Amy was 10.30 . 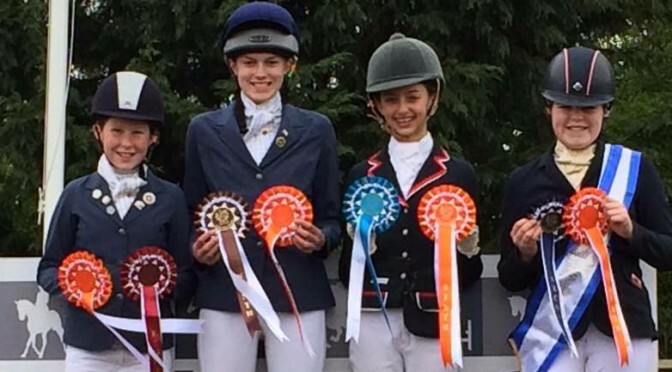 After Amy’s round, they were not in the placings, so decided to pack up camp and go home. We had to wait for Mary and Maytime until after 3.30pm. A lovely clear round, and 5 more to jump, one after the other, they knocked a pole down. Even the winner knocked a pole down. Mary still finished on her dressage score 31. The overall winner was the winner in Mary’s arena. If she had been in any other arena, we would have had a 1st!. Have to say, that the team winner of the 100+ was Harewood Combined Training Group, who won at our area competition, so very well done to them. We thoroughly enjoyed to competition, had a real experience, and were glad to get home at 9.30 that evening, all safe and sound. 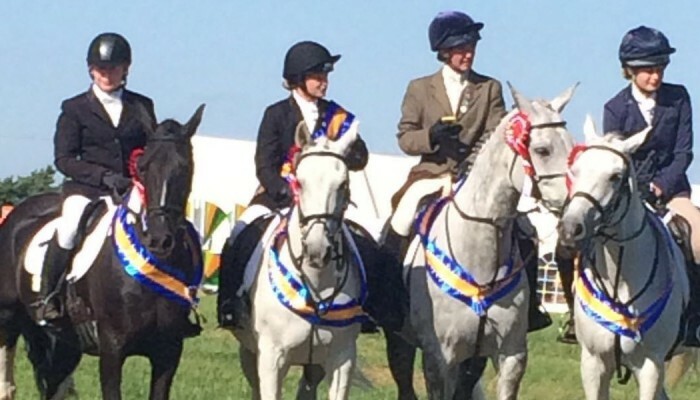 This weekend Pete Wicks, Rosie Burbidge and myself ( Faith Padmore )from Selby Riding Club represented Area 4 at the Animalife Horse Trials Championships at Swalcliffe in Oxfordshire in the Senior 90 section. Selby had won the qualification back in June at Breckenbrough along with Amanda G Walker andHeather Blakey, who unfortunately due to unforeseen circumstances weren’t able to ride at the champs and I was able to step in as a reserve. This was the first time any of us had ridden at a 2 day event or with the long style format so we were all a bit apprehensive and unsure what to expect but really excited for the opportunity. On one of the hottest weekends of the year we started day 1 (Saturday) with Dressage and Showjumping. 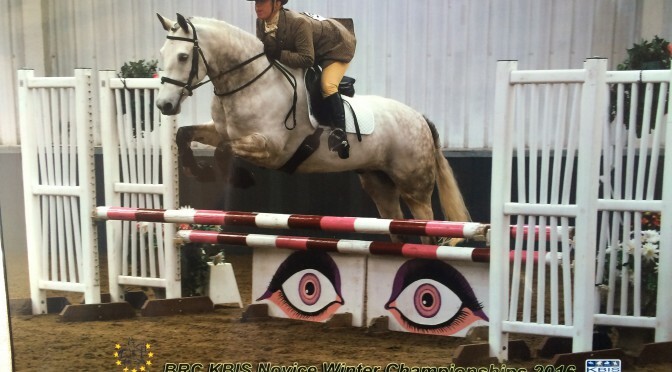 Pete had a dressage score of 41 and went clear SJ, Rosie’s dressage was 35 and had an unlucky pole SJ. 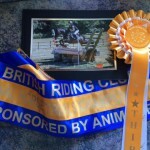 I completed the day with a dressage of 27 and clear SJ finishing 3rd in my section and 4th overall. Day 2 (Sunday) was Roads and Tracks, Steeplechase and XC. All the team successfully completed the endurance phase and all of us managed fast times on the steeplechase (minimum speed was 500mpm, Rosie and I went at approx 600mpm and Pete at a staggering 725mpm); after the all clear from the vet and a 10 minute compulsory wait we were allowed to continue with the final phase XC – the course was built to height with lots of very solid boxy fences with some tricky combinations over a very hilly course. Pete and Rosie both had bold (and slightly too fast) clears. Unfortunately my horse found a caterpillar shaped fence a little too frightening and I collected 20 penalties. 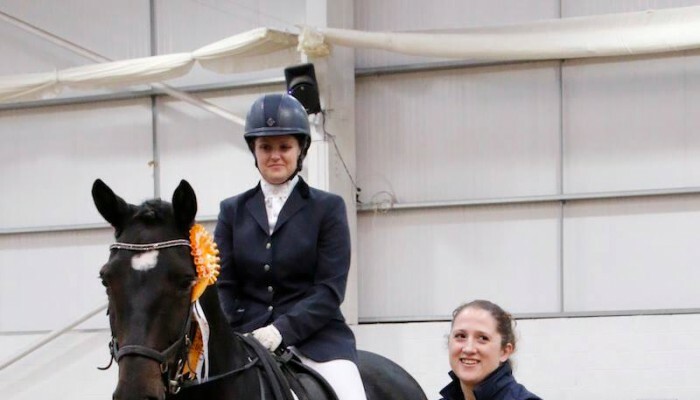 Although none of us came home with a ribbon (Rosie was just short of being placed), we were all delighted to have the ride and overall we were pleased with how our horses had gone during the competition. We would also like to express lots of heartfelt thanks to everyone who came to help us, suffering sunburn in the process – without your support we simply wouldn’t have been able to compete. So in honour of our unsung heroes… Big thanks to Zena & Kevin Richards who were the clubs official BRC helpers. To the grooms who helped to keep us and the ponies cool in the heat.. Jodie Livsey, Katie Boddy, Julie Peach and a big thanks to Ellie McNeil who left pony club camp early even though she was winning the HT on a score of 22 after SJ and DR! 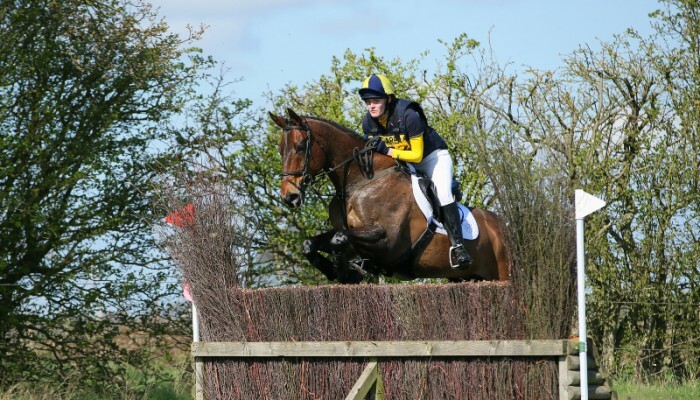 — at Swalcliffe Horse Trials. 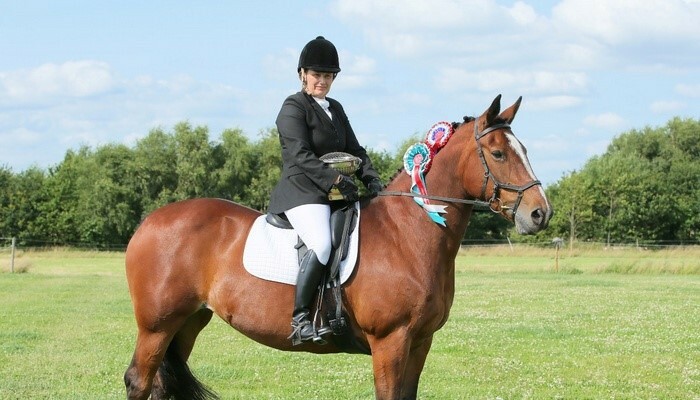 I am a primary supply teacher in my early fifties and was thrilled to qualify for the Senior 90 Challenge Championship at Aston-le-Walls with my 14 year old mare Secret, an IDx I have owned for the last eleven years. She has always been a brilliant, clever jumper and she absolutely loves cross country so show crosses are her best events. 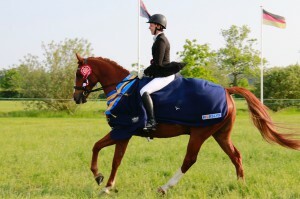 Once I knew I had qualified I worked hard on improving her fitness and speed as she is not the fastest horse. The Sunday before the Championship I had a final practice competition, a showcross run by our local hunt, unfortunately Secret took exception to the second part of a double and slammed on the brakes, I flew off her and smashed into the very solid jump. To cap it all our horse box broke down on the way home. I thought the extent of my injuries was a badly bruised arm but by the Thursday my back had seized up and I was in immense pain. I was booked to have some cross country training at Epworth and had arranged a lift as the box was still at the garage. I managed to ride but the pain was extreme and I thought about pulling out of the Championship. Luckily, I got an emergency appointment at the chiropractors and she managed to relieve the pain and get me functional again. On the day, I was last to go and had the advantage of watching a lot of the other competitors over the show jumps, which helped me make the choice about the route I would take (there were two alternative routes from fence 5 with the next six jumps mirrored across the arena). Secret is one of those clever horses (mares, I should say) that like to think for themselves and I am often just a passenger that she tolerates. I was worried that she would find the experience a bit overwhelming but she was very calm and went absolutely perfectly for me. She likes a flat course and firm ground, so everything was in our favour. She flew round the cross country, just steading up to trot through the water and over the bank. Even meeting another competitor coming back towards us on a narrow part of the course did not put her off her stride. It was a complete surprise to learn that we had come first and I almost expected them to say they had made a mistake. 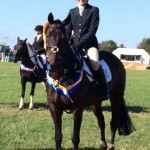 I am so proud of my super mare and our achievement on behalf of Penistone and District Riding Club and Area 4. The Showcross was our first event since coming to Area 4, we look forward to many more! 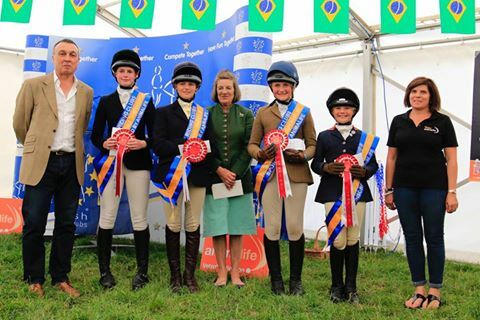 Harewood were proud to represent Area 4 at the Championshiops and had a brilliant weekend at Aston le Walls on June 4th & 5th. 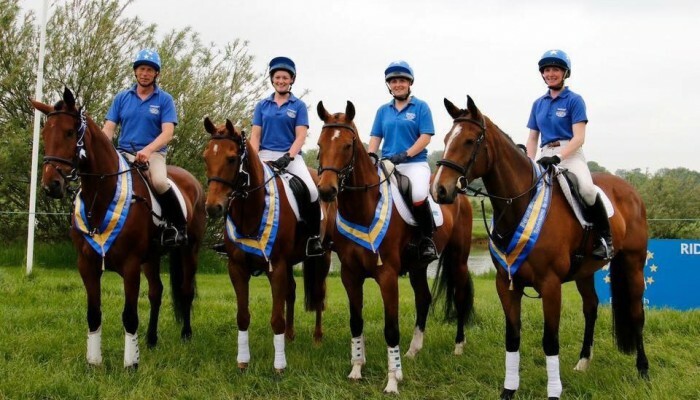 Three teams were competing over the weekend; 100 and 90 show cross teams on the Saturday then a combined training team on Sunday. The Clubs job at the Championships was to help build the the show jumping courses for both the show cross and combined training so the 100 team who were first up on Saturday had already seen the somewhat challenging course that gave two route options from fence 6 to 11. With 4 clears cross country and good show jumping rounds the team finished 6th in a close fought contest. The afternoon saw the 90 show cross team in action and 4 fantastic performances in what was an even closer competition saw the team secure a brilliant 2nd place. Kelly Lazenby took the lead from early on in the day and had an agonising wait until the very last competitor, another Area 4 member; Pat Haisman from Penniston and District Riding Club, who just piped her to top spot by 0.4 of a penalty. As to be expected of a championship the combined training proved to be another challenging competition. 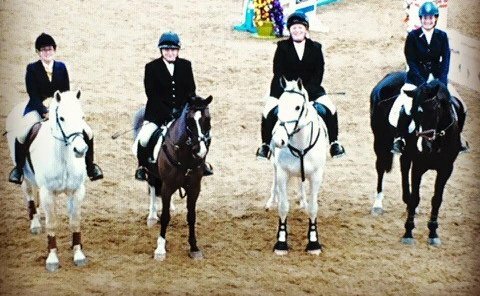 Team members were also the arena party on the day and had seen many competitors hopes dashed by the long, technical and twisting course, however all stepped up to the challenge and followed up solid dressage performances with good jumping rounds to secure 8th place. Aston is a fantastic venue and everyone had a great time there. 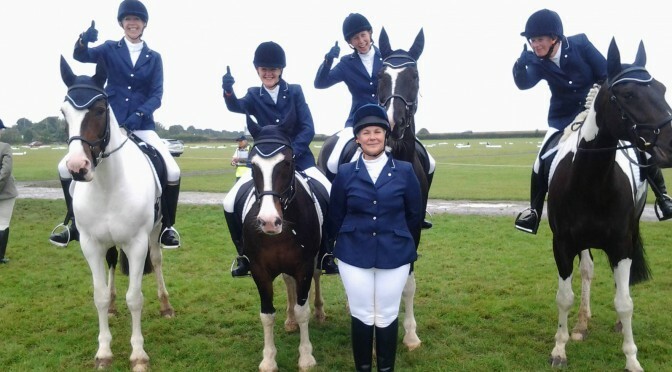 The camaraderie and team sprit of team events can’t be beaten and everyone finishing in the rosettes was an added bonus. 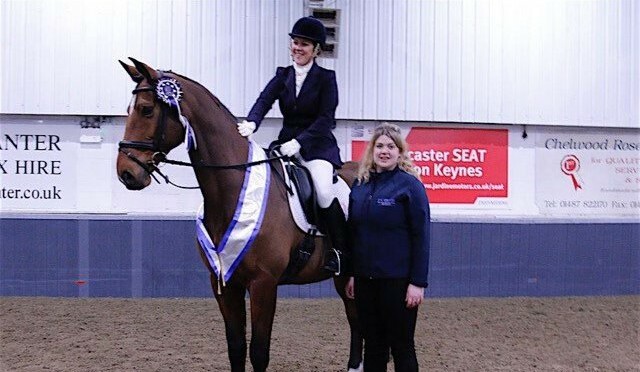 The long wait until the very end of the day at the FOTH championships was worthwhile for Judith and Legato II as it turned out to be a winning performance for the pair. Legato is very sensitive and has a particular aversion to flags. Knowing that there were plenty of flags at Aston Judith decided something needed to be done before the Championships so a selection of flags were purchased and put up in his field at home, much to his horror! Anyway, it seemed to do the trick as despite a breezy day and flapping flags he settled well to perform a super dressage test scoring 26.8. 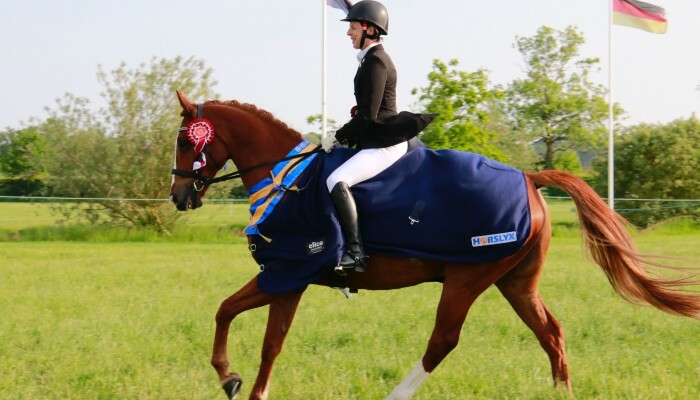 The show jumping had caused a great deal of problems through out the day, with time also proving to be influential on the very twisty track, however an immaculate clear round secured the win in their arena. The combined training competition also had an overall championship prize for the best result across all 6 dressage arenas and it was announced at prize giving that Judith had also won this. Well done done to Selby Junior rider Lucy Williams at the BRC Intermediate dressage champs at Bury today. 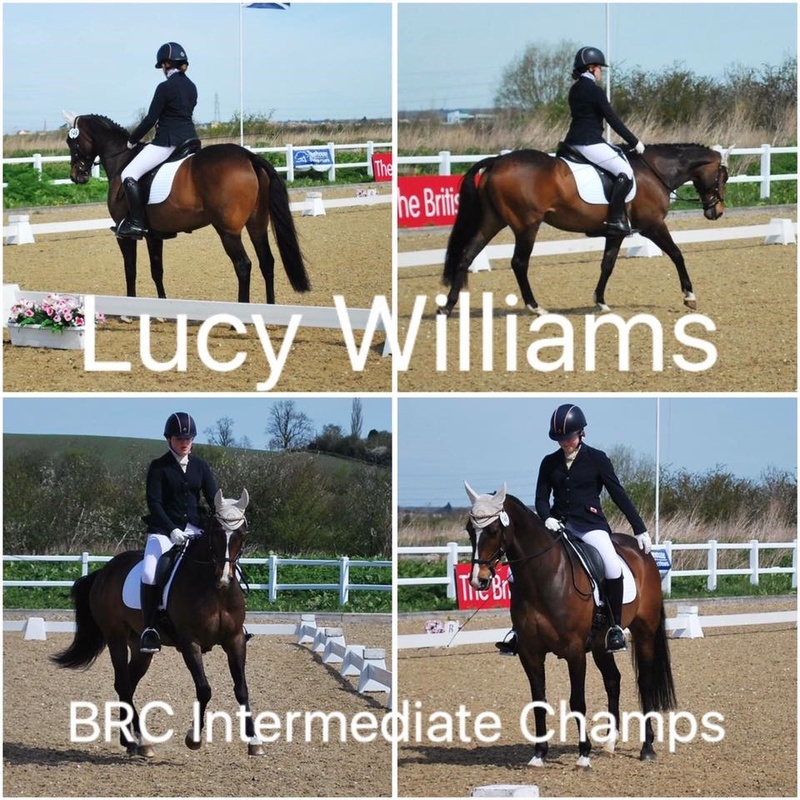 This was her second BRC champs within 3 weeks after taking 2nd place individual and team 3rd at Keysoe. 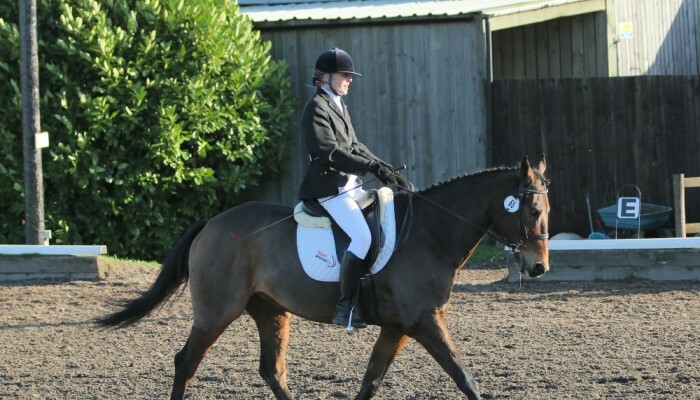 Lucy’s pony came out of his stable a bit tense with the atmosphere of the occasion, but despite this Lucy still managed to improve on her qualifying score of 65.4% for her elementary test which sadly meant she finished just outside of the placings. 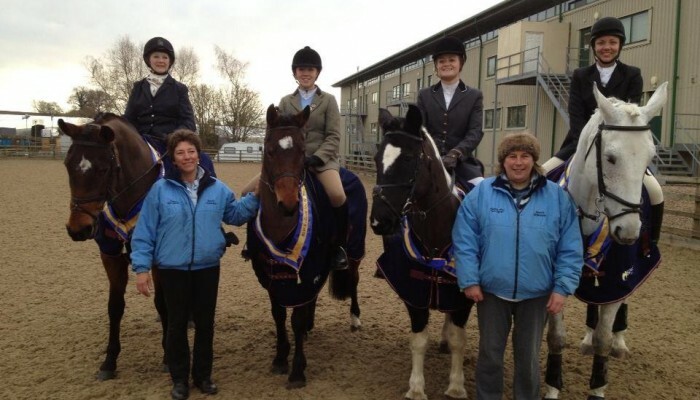 We made the journey down from Scarborough to compete in the novice winter showjumping championships. With two young novice horses in the team and two slightly more experienced horses we set off with nervous excitement/anticipation. 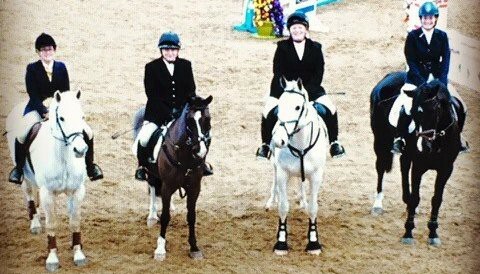 We were delighted all team members completed, Amy and Sarah jumped lovely clears in the first round and were both unlucky to have a pole down in the second round. 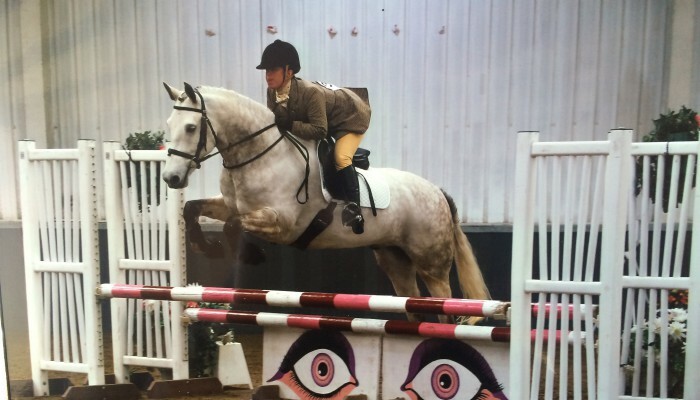 Rowan jumped two lovely rounds just to pick up two fences during the rounds. 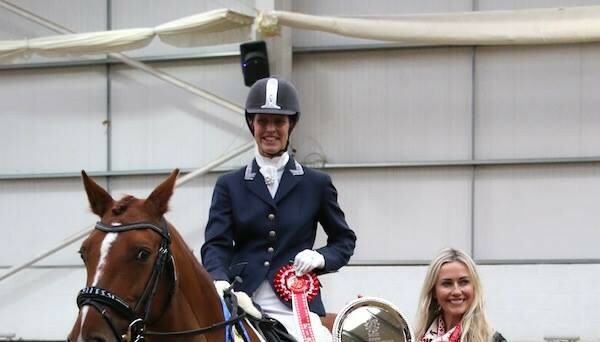 Sammi was our very reliable reserve in member standing in for our qualifying team mate Zoe Jenkins who was enjoying herself in Aus. 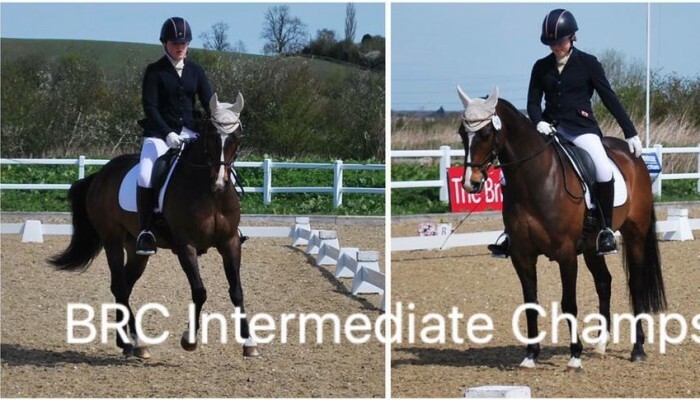 On a personal note it is really good that the Riding Club and KBIS sponsors give us the opportunity to compete at such lovely venues so we can all gain valuable experience. The whole team and our brilliant supporters thoroughly enjoyed the couple of days away and some sound friendships were made along the way. 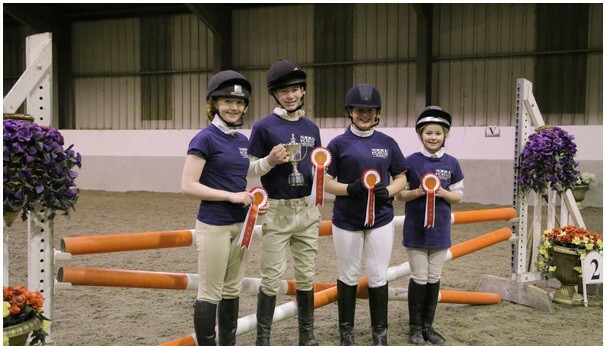 Holme Valley Riding Clubs Senior Novice Showjumping team had one last training session with Peter Mellor the night before making the long journey down to Keysoe. 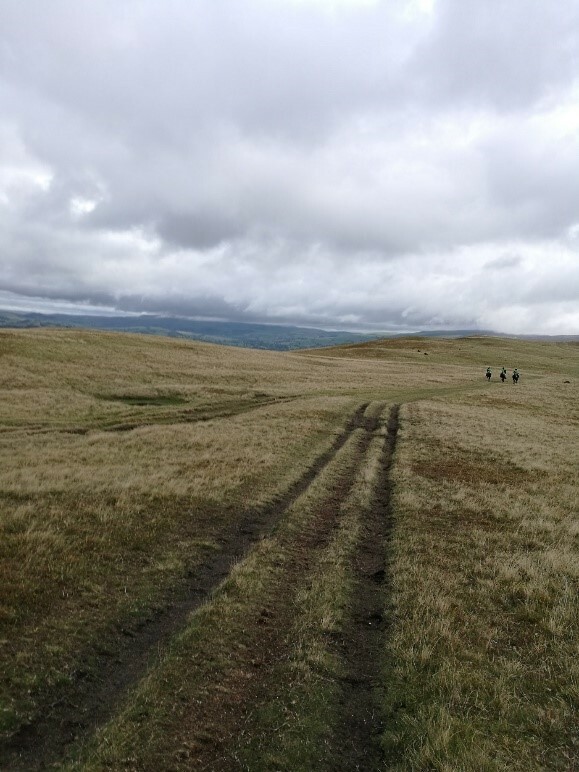 Half the team stayed overnight while the other two came down in the morning, spirits were high although with two 6 yr olds in our team we were a little nervous too. The course was technical with a dog leg, a combination and lots of spooky fillers to look at but proved to be very jumpable. Our first rider was in at 8.05am and by lunchtime with a couple of clears we had finished the first rounds on a score of 4 putting us in contention for a placing if we could keep it up. The fences went up for the 2nd round and although the course only altered slightly poles began to fall all round the course. We finished the afternoon on a total of 12 after a couple of unlucky poles and after an anxious wait for the final results finished in a very creditable 7th place. 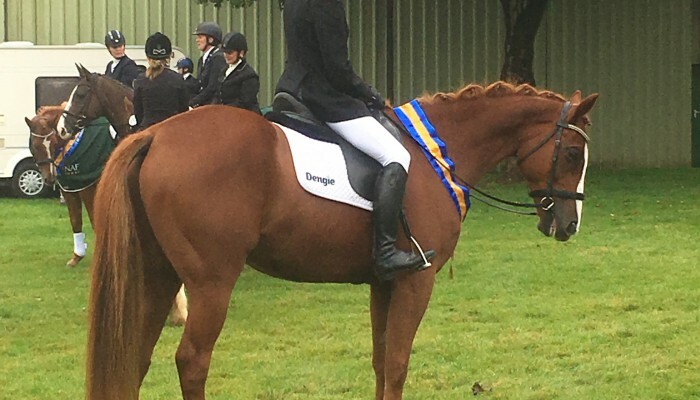 The rosette was lovely and we all came away with some great pictures of our horses who really rose to the challenge and all played their part in the team. 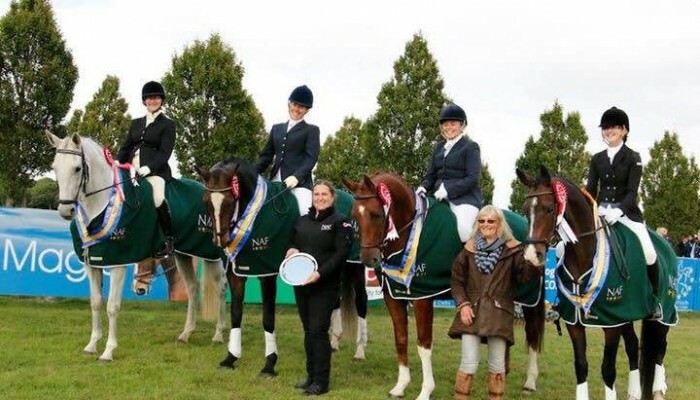 The team was Clair Hinchcliffe on Whitfield Blue Diamond, Clare Hinchcliffe on Alfie, Natasha Jowett on Villa Billy and Rebecca Johnson on Cat Balou. The event felt to run very smoothly thanks to all the volunteers and special mention goes to our own Laura Brennan who made the journey to volunteer to enable the team to compete. 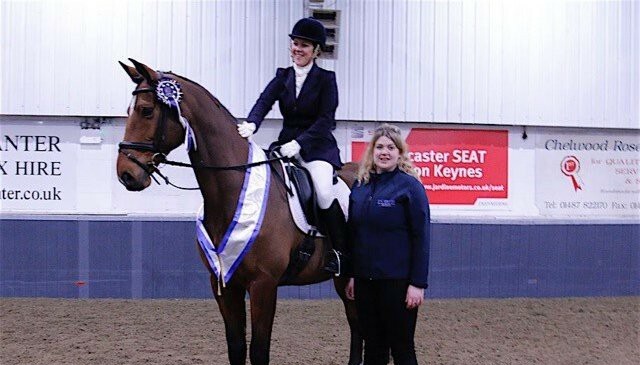 KBIS Winter Novice Dressage Championships at Keysoe on Saturday where she and Frazer came 2nd! 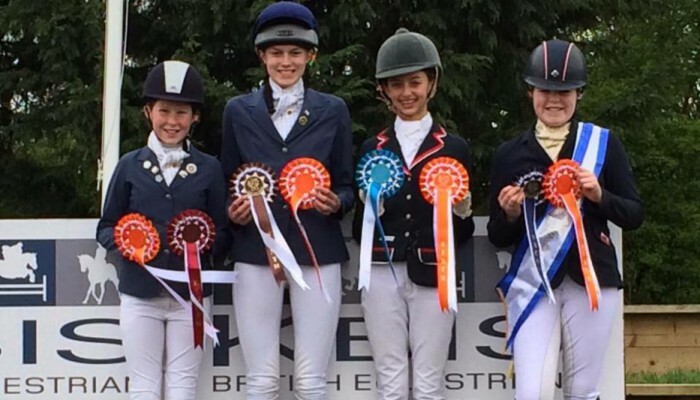 Ackworth District Riding Club Junior Novice Showjumping Team came 6th at the Winter Championships this weekend, Well done Ackworth. 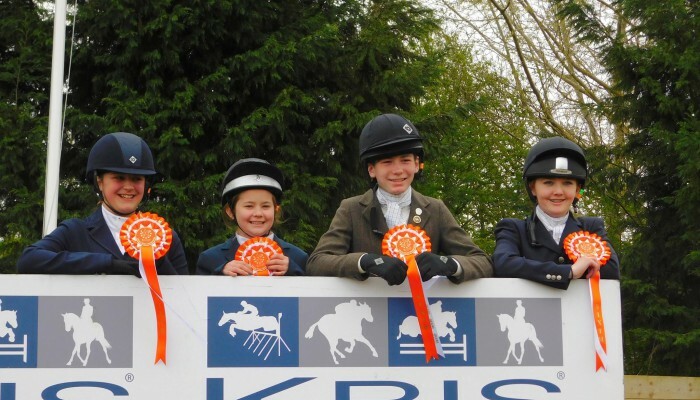 Selby Junior Dressage team take 6th place at the KBIS Novice Dressage Championships at Keysoe on Sunday 10th April 2016. 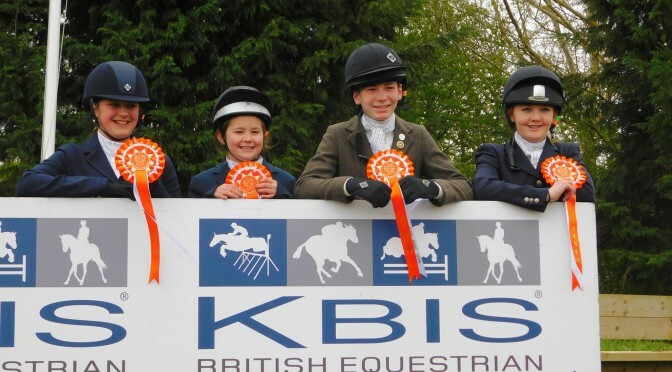 Selby Junior Dressage team take 6th place at the KBIS Novice Dressage Championships at Keysoe on Sunday 10th April.